Yes it looks better with lights and some more decors. Here is another decors idea I had found online. That looks pretty awesome! (the ornaments.) 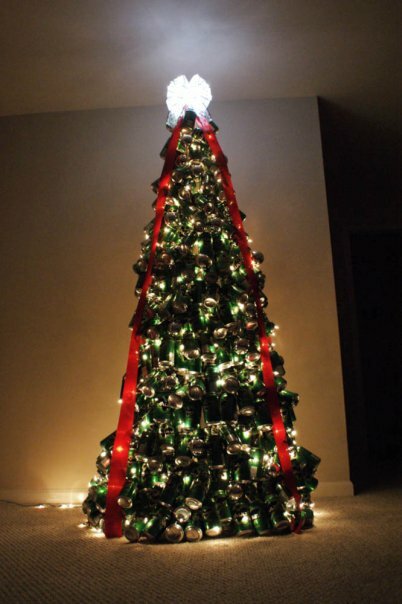 The mountain dew can Christmas tree is a little bit tacky though. Still, a good idea and concept, it just needs to now be made more "pretty."